Iridium products and services are at Apollo SatCom! At Apollo SatCom we carry all of Iridium's top devices and services including Iridium's new push to talk service with the Iridium Extreme PTT. From the Iridium 9555, the Iridium Extreme, and even the Iridium Extreme PTT we have anything you need for products, services, and support for Iridium products for your global communications solution. Using the Iridium network your signal is sent over a network that has a total of 66 cross-linked satellites that span the entire planet. This is why Iridium has the furthest reaching network when compared to any other company on earth! Iridium's awarding winning network spans the entire planet so no matter where you or your personnel are there will always be a reliable signal for communicating. Literally from pole to pole you are covered for your communications needs. Iridium's network is the furthest reaching and most reliable mobile satellite communications network in the world. With an Iridium approved device running on their powerful network you are always connected for anything you need. Connecting you no matter where you are on the planet; guaranteed! With Iridium's network your satellite communication devices are backed by the only communications solution that literally spans the entire world from pole to pole. This means that no matter where you are on the planet you can count on getting a good strong signal; guaranteed! Iridium's devices have been proven in the lab and also in the field by customers. Iridium's global communications solution is literally second to none! You can rest assured that the world reknowned quality and reliability of Iridium's network will give you top notch performance day in and day out when exploring, traveling, or even just working in a remote office off of the grid. 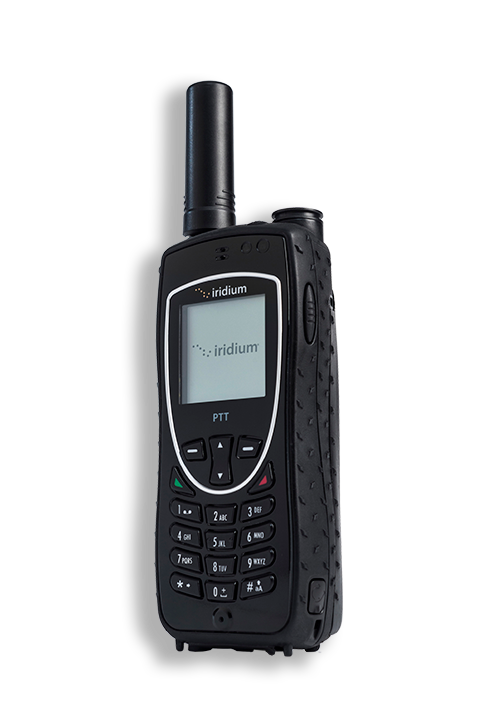 The Iridium Extreme PTT operates on Iridium's network, which is the world's only truly global network so no matter where you are on the planet from pole to pole you are guaranteed a signal! Since it is engineered with the same quality and reliability that customers have come to trust in Iridium products it adheres to the conformance of those same high standards set by Iridium. 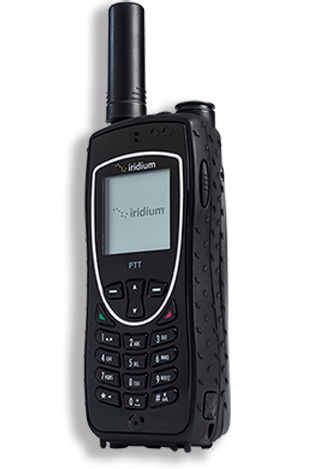 The ruggedness of the Iridium Extreme PTT is military grade, giving it the ability to stand up to even the most relentless environments; leaving you safe, connected, and without worry. 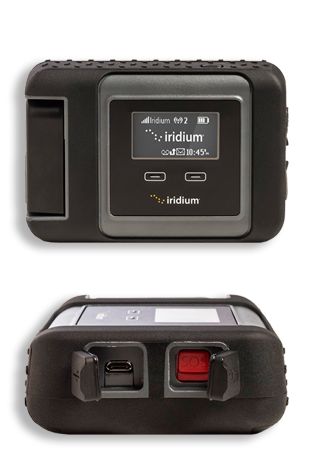 Just like the original, the Iridium Extreme PTT has a built-in customizeable SOS button. This way if you are in an emergency situation you have a fast and easy way to get help on its way. The Iridium 9555 operates on Iridium's network, which is the world's only truly global network so no matter where you are on the planet from pole to pole you are guaranteed a signal! The Iridium 9555 is powerful but also compact. With the smaller form factor it fits comfortably in your hand. It is also small enough to fit in any pack leaving plenty of room. On top of being compact, the Iridium 9555 is also powerful. It is built with the same quality features that customers have come to expect from Iridium products for decades! 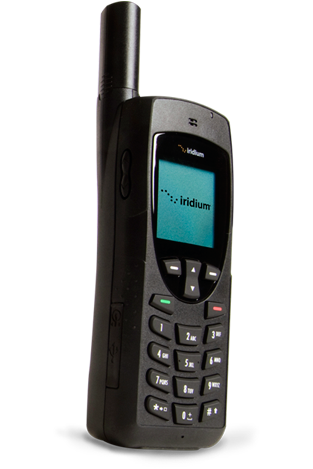 Just like most of Iridium devices, the Iridium 9555 is rugged. It will stand up to anything mother nature can throw at it and keep you can remain safe with your critical lifeline! Leverages and extends your existing trusted devices and is compatible with Apple and Android operating systems. You can stay connected and also save with the Iriduim GO! You can take Iridium GO! anywhere. It’s small enough to fit in your pocket and tough enough to withstand rain, sand, dust and rough use. Take it anywhere and stay connected! Jet water resistant, shock resistant, and also dust proof. The Iridium GO! is built to withstand the harshest conditions and still keep you safe, connected, and in touch. The SOS button on the Iridium GO! is fully customizeable and built right into the rugged build of the device. It is always ready to go whenever you need help! Plans and Pricing Coming Soon!! Copyright ©2016 - Apollo Satellite Communications | All Rights Reserved.